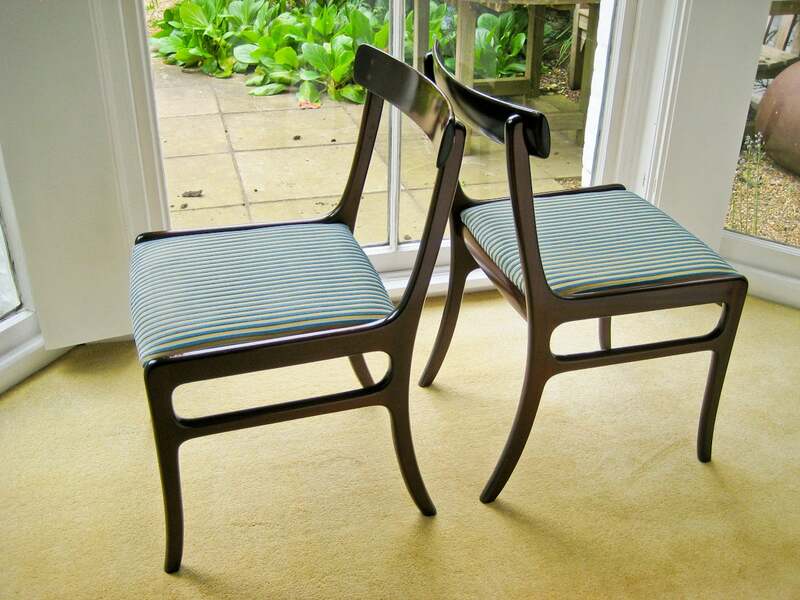 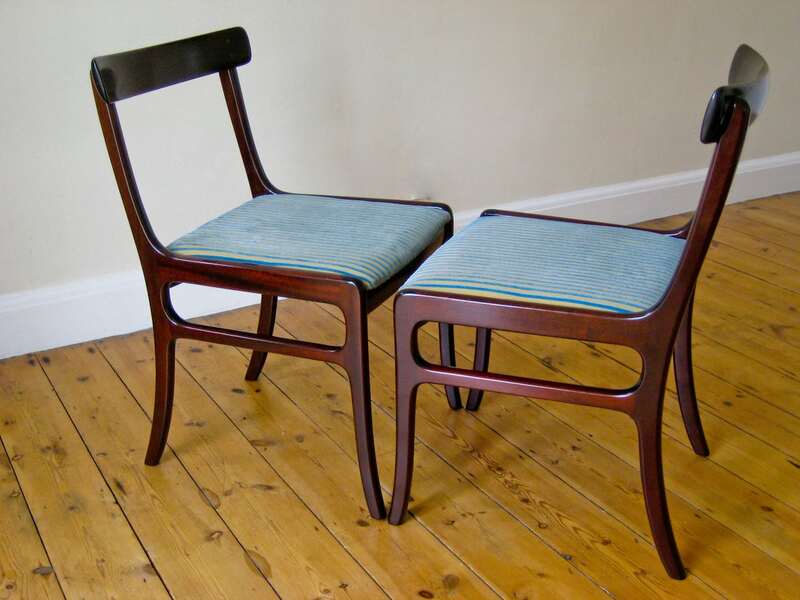 A pair of mahogany side chairs designed by Ole Wanscher for P. Jeppesen. 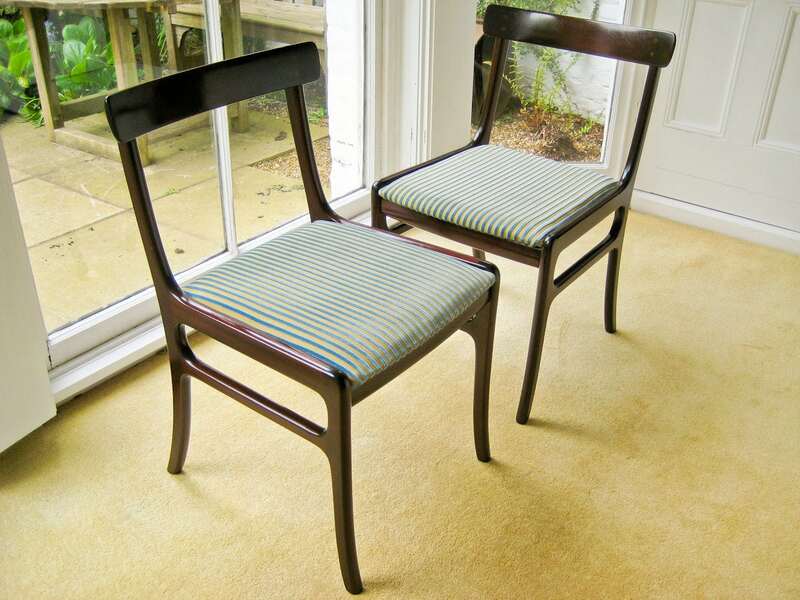 Nicely patinated mahogany and new velvet stripe upholstery, all in an excellent original condition. 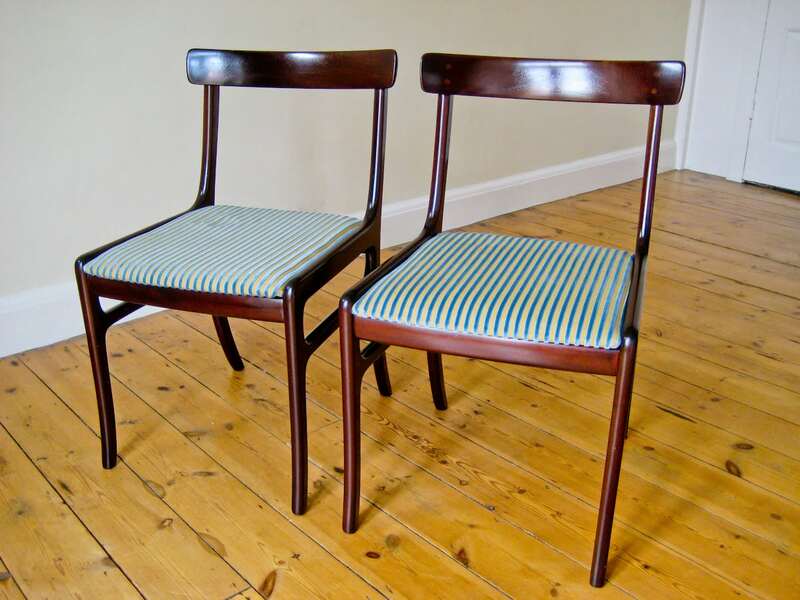 Nice lines and curves to these chairs that are made to a high standard by P. Jeppesen. 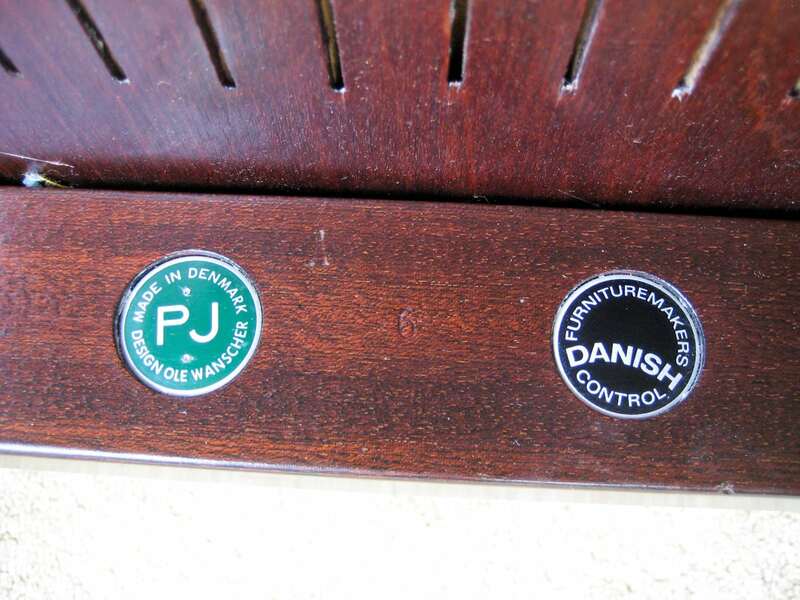 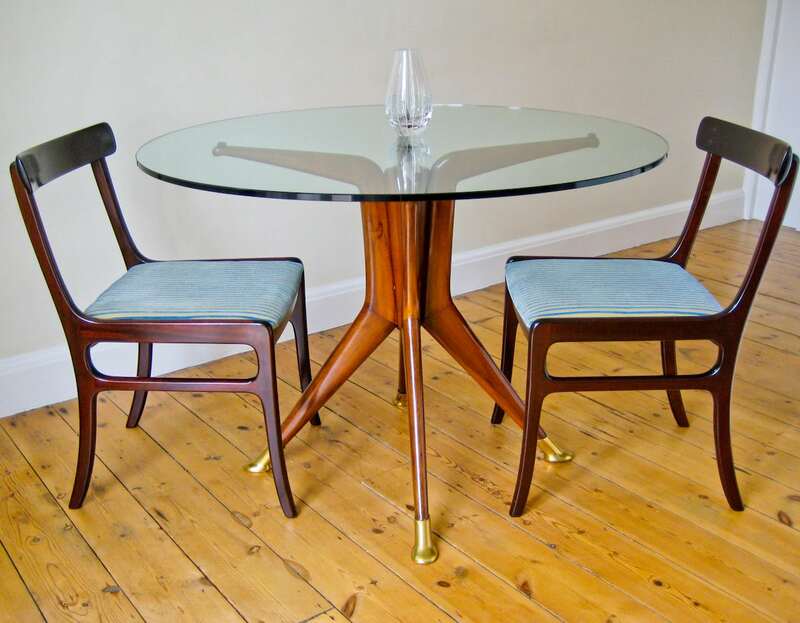 Designed by Ole Wanscher who was very important in the development of the Danish modern style.